Unicorn Frappuccino? Coffee Staining and Sweets Impact Your Smile. 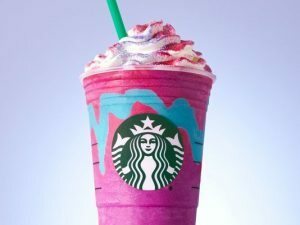 Starting today, April 19th and continuing for the next week, our friends at Starbucks are highlighting their Unicorn Frappuccino. Yeah, that mythical, majestic creature is being turned into an explosion of pink and purple sweetness. Even though the “Unicorn” will be around for just a week, many of us love having a nice, hot cup of coffee as part of our morning routine. But have you ever thought about how coffee and other sweet drinks can affect your teeth? Jessica Emery, DMD, who offers teeth whitening in Chicago, wants to get the word out! The best way to prevent your teeth from staining due to coffee is to simply stop drinking it. For many people, however, this simply isn’t an option. The next best solution would be to brush and rinse regularly, especially immediately after enjoying your coffee. You can also drink your coffee faster, so it doesn’t sit on your teeth as long, or drink it through a straw so it by-passes your teeth altogether. Be sure to visit Dr. Emery for regular check-ups and cleanings as well. Once the staining occurs, however, you will need to treat it. The best way to remove stains caused by coffee and other staining substances is to visit Dr. Emery in Chicago for teeth whitening. With professional teeth whitening treatment, you can see amazing whitening results in less than an hour! If you’re a coffee lover and you have the discolored teeth to show for it, let today be the day you finally decide to take action. Call Dr. Emery to schedule an appointment for professional teeth whitening today at (773) 883-1818.